The BK Häcken article was published a few hours before kick off. The English translation from Google Översätt follows. Matt Walker usually has an annual card at Craven Cottage, where he follows his heart’s team, Fulham. However, the 2017/2018 season has been taken away from work as an analyst in London to make a special football trip – the goal is to be the first ever to see league football in all 55 UEFA nations in a season. Tonight he is in place at Bravida Arena to bend off Sweden on his list of seeing BK Häcken-Hammarby. “I read a football book about Lichtenstein a few years ago and that’s when I got the idea. Now I have taken leave for 18 months to do my “research trip”, as I call it. The goal is that everything will result in a book, mainly about soccer but also a travel story from 55 different countries, “said Matt Walker. To solve the logistics he is grateful for the leagues that are running and playing in the summer months. Matt has already joined Georgia, Iceland, Faroe Islands and Norway. When he left London yesterday, it was the start of a five-week tour where he will see league football in Finland, Estonia, Kazakhstan, Russia, Belarus, Lithuania and Latvia after Hisingen and Sweden. The choice of match in Sweden landed at BK Häcken’s home meeting with Hammarby, for logistic and personal reasons. “I have a tight schedule, so I only had this weekend to choose from in Sweden. The easy choice had been Djurgården, which also plays tonight, because I’m going to Finland since then I got stuck to Häcken. Britons generally like underdogs, minor teams challenge the big clubs. I would like to avoid the biggest cities, people are usually friendlier and more accommodating in smaller cities, “said Matt Walker. Tonight he uploads with the Häcken fans at the supporters pub Whoopsi Daisy. Although the football is the reason for his season-long adventure, the interest in meeting new people and watching new environments is as great as the actual football matches. “The football is the main thing, but through it I want to meet people and learn new things, get different perspectives in the different countries. In a football perspective, I look forward to the big leagues – Germany and Spain. From a travel perspective, I look forward to the countries I have not been to before: Armenia, Moldova, Kazakhstan, Albania. It will be interesting to compare the quality of football and the style of football played in the different countries. When BK Häcken and Hammarby met last year, there were two happy meetings and two Häckensegrar – 4-2, 3-2 – but Matt Walker believes in a goal-long evening when Allsvenskan begins after the U21-EM resignation. Both teams are in the middle of the table and the first match after a break is usually the players are a little bit annoying. But I have a colleague who hopes for many goals tonight! Before I left off, I shared a UEFA nations where 55 colleagues were and whose league has the most targeted match, I have promised 55 pounds, Matt says, laughing. 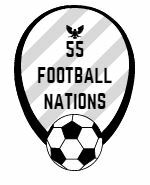 I’m pleased to see that the 55 Football Nations home jinx has well and truly been exorcised.